May 3, 2016 May 2, 2016 / Elizabeth T.
Can you all believe it’s already the fifth month of the year? We’re already almost halfway through 2016! Time is seriously passing by way too fast, don’t you agree? The gemstone tourmaline-infused ceramic coated barrel forms beautiful, romantic waves in half the time of other styling tools, and I love how effortlessly wavy my hair looks after I use it! I’ve been using this styling tool a lot this past month, and it’s definitely at the top of my favorites list 🙂 If any of you are looking for a curling wand, you should definitely give NuMe a try (if you haven’t already)! 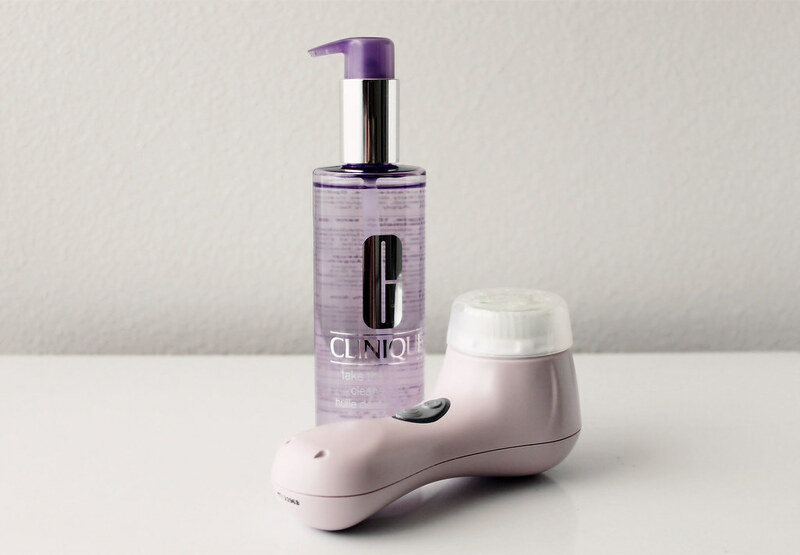 Aside from a hair favorite, I also have a skincare favorite this month – the Clinique Take the Day Off Cleansing Oil. If you’ve been following my blog for awhile now, then you know that I’ve recently been obsessed with Clinique’s Take the Day Off Eye Makeup Remover (as seen here in my February Favorites). After getting such great results from the eye makeup remover, I decided to try their makeup cleansing oil as well, and I couldn’t be happier with my purchase! 🙂 It takes off all of my makeup and sunscreen so well, and I love how clean and hydrated my face feels after using it! A big plus – it’s unscented for those of you who don’t like fragrant products! 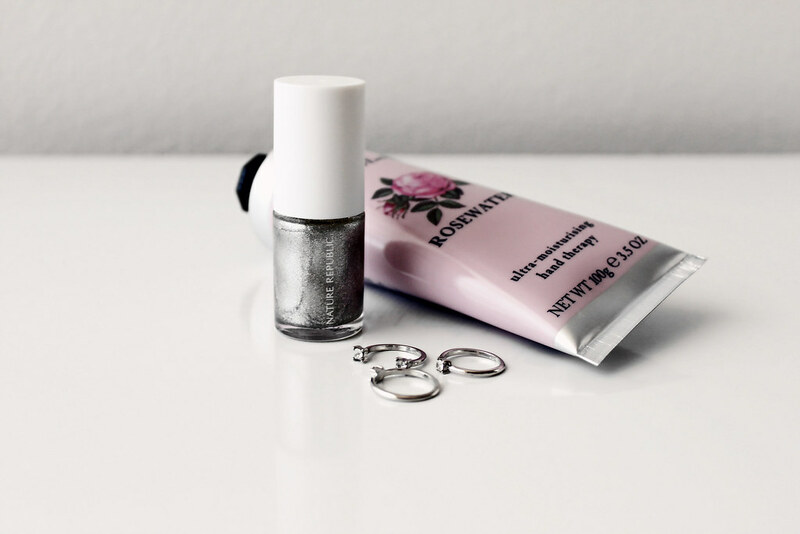 Moving along, I’ve also been obsessed with this silver nail polish from Nature Republic. I’m a big fan of sparkly nail polishes because I love doing French tip nails with glittery colors (they really help to elongate the fingers, making them appear thinner and slimmer than they really are). What I love the most about Nature Republic’s nail polishes are how affordable they are! Though they come in slightly smaller packaging than your average nail polish, that’s also what I like about them, since my nail polishes have the tendency to dry out way before I even get close to finishing them. And that concludes my favorites for this month! I don’t have a book to share with you all this month, due to my busy work schedule, but hopefully, with the long weekend that’s coming up in May, I’ll be able to squeeze in some reading/relaxing time! Thanks for sharing with us your favorites! I’ve been loving reading/watching Monthly Favorites of bloggers. For me, I’ve been loving the Tarte BB Treatment as a very light coverage for the spring/summer season and the Hourglass Ambient Lighting Powder. 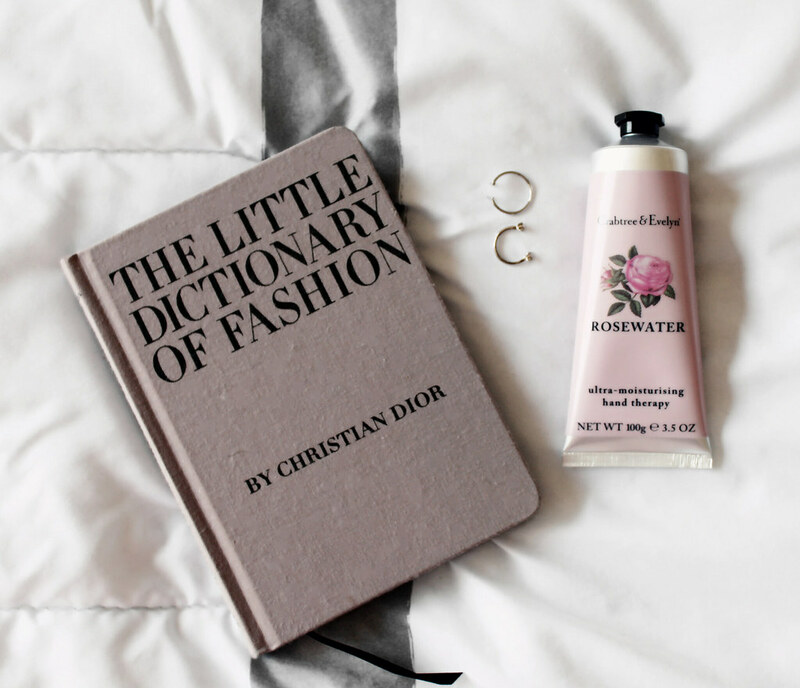 I love that hand creme too! I’ve always wanted to get my hands on a nume wand!! They look sooo good! Yes, they’re magical 🙂 I never thought so until I owned one myself! You should definitely look into getting one for yourself, Poppy ❤ Thank you so much for stopping by my blog! 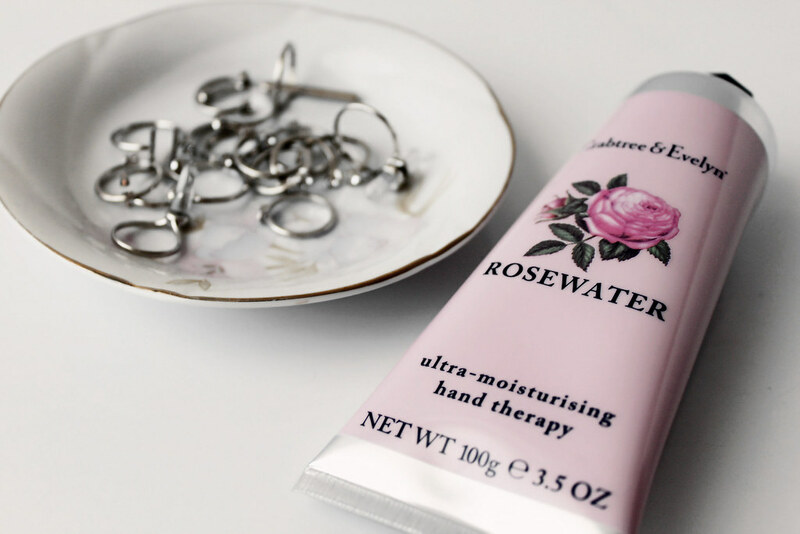 I adore the scent of roses – I need to pick up some of that Crabtree & Evelyn hand cream! Thanks for sharing! Yes, the scent of roses is my favorite too ❤ So soft and delicate 🙂 Thank you so much for stopping Clarissa! Hope you enjoyed this round-up of favorites! The Crabtree and Evelyn rosewater hand cream is what I am currently using and my favorite too. The scent is just soooo great. Awesome roundups! Yes, isn’t the scent lovely? ❤ I love how feminine and soft it smells 🙂 Thank you so much for stopping by Shirlyn! Hope you're having a great week! These all look so cute! Love it! Thank you love ❤ 🙂 Hope you enjoyed the post! I’ve been dying to try out that oil for a while, sounds great! Yes, that curling wand is so amazing ❤ I love how beautiful and natural the curls look, and they literally last the whole day 😉 And aww you're too sweet! Thank you for your lovely comments. Hehe and yes, the C&E handcreams are my absolute favorite right now! Hahaha yess it’s my current favorite ❤ 😀 They last so long too!